**e.g. if you order 5' trees as many that inventory will allow will be 5' tall, then 5' 1", then 5"2", after that 4'11" & 4' 10" may finish out your order. Our trees are always on the move, up and out to our customers. 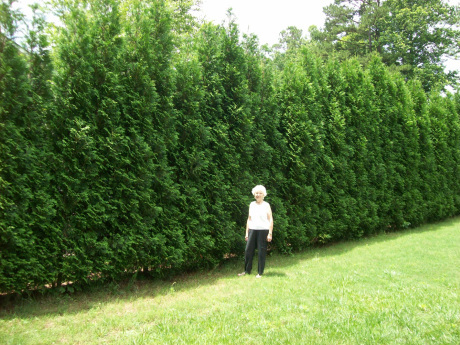 We will do our best to accommodate your order of trees in the size you request. Can I plant American Pillars where I live? American Pillar trees grow heartily in zones 3 thru 8!! !